Isabella Jumpsuit's strapless design is the season's most elegant take on the casual look. It comes in charcoal 100% sandwashed cotton. 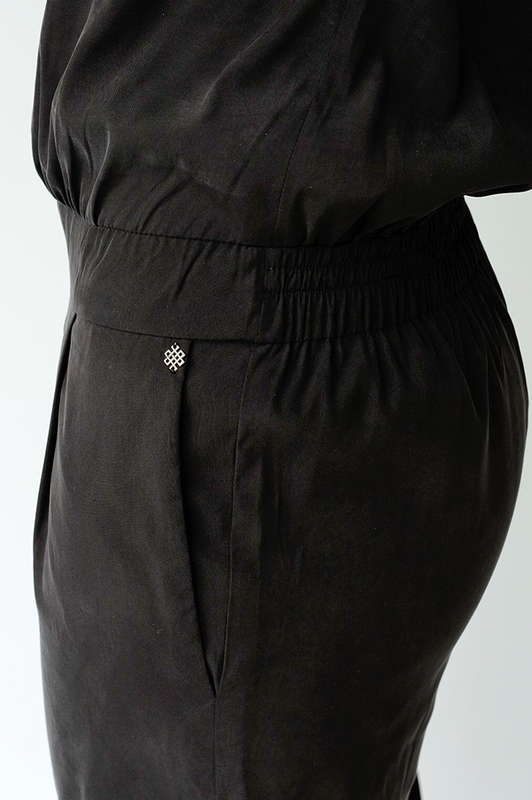 The elastic at the neckline helps to keep the top up the elastic on the back makes it comfy through the day. Isabella is cut to a relaxed fit and falls to a straight-leg silouette with pleats nearby the two side pockets. Style it with open-toe sandals for a chic everyday look.